Most people in America today are familiar with Evangelist Billy Graham. For many years, he had been a perennial participant of Time Magazine’s list of Most Admired People. He has been a spiritual advisor to every president since Dwight Eisenhower to George W. Bush. And more than that, he has preached the Gospel of Jesus Christ to more people than anyone in history. I have written a book on Billy Graham to be released January 2015 entitled Igniting the Fire-The Movements and Mentors Who Shaped Billy Graham. Click here for more information! Where does this sort of success come from? It is true that Billy Graham was chosen of God for a particularly famous task which no one should seek. Even so, Scripture tells us that “the eyes of the Lord move to and fro throughout the earth that He may strongly support those whose heart is completely His” (2 Chronicles 16:9). As the Lord looked throughout the earth, He found in Billy Graham a heart that was His, and He strongly supported him. This was not always the case however. As a fifteen-year-old young man, he ridiculed ‘religious fanatics’ who had gathered to pray on his father’s dairy farm just outside Charlotte, North Carolina. As the men prayed, they cried out that the Lord would raise up laborers for the harvest. One even prayed that He would raise up someone who would preach the Gospel around the world. Billy Frank Graham, an unsuspecting and irreverent teen, was just a few acres away, unprepared for the task. These men’s cries rose up to heaven as they prayed for a world-wide evangelist, and also for the spiritual climate of Charlotte. In particular, they had gathered to pray for the evangelistic meetings which would be happening in the Summer and Fall of 1934, led by evangelist Mordecai Ham. It was at these meetings that the city of Charlotte began to stir. Ham, the fiery evangelist, had heard rumors of some gross immorality in the local high school, and began to preach against the sinful actions. In response, the school’s atheist club was going to stage a disturbance during Ham’s meeting. Young Billy got word of the excitement and wanted to go see what would happen. When he went the first night, rather than coming away with great impressions of the short-lived disturbance, Billy was instead concerned that Ham had been preaching right at him. With this fear, he and family friend, Grady Wilson, decided to join the choir which was seated behind the pulpit—away from the pointing finger and stark gaze of the preacher. But this did not stop Billy’s conviction. When Ham gave the invitation, both Billy and Grady were visibly affected, but hesitated to go forward. A man saw them, put his arm around them and asked if they wanted to go forward. Billy went down and made a decision for Christ. His friends, family and even he himself attest to a major change in his life—he was a different person who took the Christian faith seriously. He had decided to follow Jesus. Billy’s second major decision came a few years later while a student at the Florida Bible Institute in Temple Terrace, Florida just outside of Tampa. While he lived a new life after his conversion, Billy was a carefree and youthful young man who was still a bit more concerned with girls and recreation than ministry. All this would change in the summer of 1938. Billy was becoming attached to a young woman who he was convinced would be his future wife. At the end of the school year there was a school banquet and all the boys were buying corsages for their dates. Billy insisted on buying a more expensive corsage for his date—she was worth it. When he went to give it to her, she told him that she could not take it. They sat and talked as she broke the news to him that she did not want to date him anymore. Billy was heart-broken. But as crises often do, this turmoil of soul brought him much soul-searching. In the next days and weeks, he went on lonely walks around the local golf course, considering his broken relationship and resisting his call to preach. One late evening, as he was approaching the school, he stopped at the 18th green of the local golf course which led into the school. As tears were streaming down his face, he laid down with his face to the ground, and cried out, “Oh God, I’ll be what You want me to be and I’ll go where You want me to go.” Thus he submitted to his call to preach. This submission to the call of God on his life was eventually followed by opportunities to preach the Gospel during his remaining years in school as he began to develop into a successful evangelist. In this commitment, Billy had not only committed himself to God for salvation, he also committed himself to His call on his life. By 1948—ten years later—Billy’s success as an evangelist was becoming solidified as he built a team of musicians and preachers and preached around the country and even in Europe with the Youth for Christ movement. He was also made the President of Northwestern Schools, a Bible school in Minneapolis, Minnesota. Even so, the temptations for a traveling evangelist were great, and the honor of the name of Christ was at stake. Evangelists have always had a bad name—this was no less the case during the rise of Billy Graham. While Billy himself had never been involved in any major scandal, he knew he was not immune from it. While at a series of meetings in Modesto, California, Billy gathered his core team together and asked them each to go alone to pray and come up with a list of pitfalls into which evangelists were prone to fall. The team came back together and made a list of four major areas where evangelists often failed, and which they must be careful to guard against themselves. The first area was that of financial accountability. Many evangelists had taken advantage of their influence and persuasive skills in eliciting “love offerings.” Some even used the money they received inappropriately and illegally. Billy’s team committed themselves to integrity and openness in all their financial dealings. The second area which concerned them was sexual indiscretions. Because of the possibility, as well as the appearance of sexual indiscretions, Billy and his team committed together to guard themselves against sexual sin. Billy committed to never be alone with a woman other than his wife, and made other commitments safe-guarding this purity. The third area appears a little more obscure for us today—though not entirely non-existent. 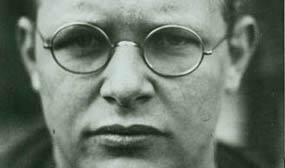 Many of the evangelists of the first half of the 20th century pitted themselves against churches and clergy. This model, Graham’s team believed, was unscriptural as the model of biblical evangelists worked in concert with the local churches. So, the team committed to work with the local churches wherever possible in the proclamation of the Gospel. Finally, the team noted that many evangelists inflate their numbers to validate their ministry. This was also a temptation for Billy Graham. In fact, in later days as a result of his successful meetings, local media began over-exaggerating numbers of crowd size and decisions. This was troubling to Billy and his team—such discrepancies could bring dishonor to the name of Christ. They committed to doing their best in accurately reporting crowd size and decisions. To do otherwise was rooted in pride and had no place in the proclamation of the Gospel. These four commitments, later labeled the “Modesto Manifesto,” were rooted in hearts of the Graham team. They wanted their evangelistic ministry to be upright and righteous so that the name of Christ might be honored. While many ministries have had similar righteousness without the numerical success of the ministry of Billy Graham, without this model of purity instituted and enacted, God would not have honored Graham’s ministry as He did. Just a few months later the 30 year-old evangelist and college president faced another major hurdle. It would prove foundational for his ministry. 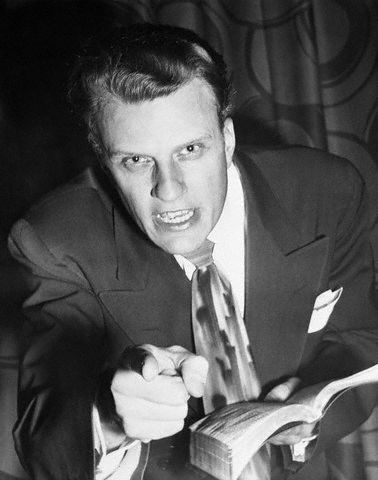 During his Youth for Christ ministry in the mid-1940s, Billy Graham began ministering with a young preacher named Chuck Templeton. By most accounts, it was Chuck Templeton, and not Billy Graham, who was the up and budding preacher who would take the world by storm. His eloquence was matched by his riveting illustrations and keen sense of the pulse of the audience. But Templeton was not only a gifted communicator; he was also enamored with intellectual discourse and theology and began to raise questions to himself as well as to Billy that would shake the foundations of both their faiths. The issue which became front and center for Billy Graham was whether or not the Bible was fully and unequivocally inspired and authoritative in all it says. Chuck Templeton raised questions for which Billy had no answer and which raised doubt within Billy’s own mind. Could the Bible be trusted completely? As Templeton raised arguments, and belittled Billy’s naivety and ‘old fashioned’ beliefs, Billy was troubled. Billy was always a bit impressionable, and this is no less the case with this controversy. Not only were doubts in his mind raised, but his friend was pressuring him to change his long-held views. The issue came to a head as Billy was invited to speak at Forest Home retreat center just east of Los Angeles. He had just come off an unsuccessful campaign in Altoona and was deflated emotionally as a result. At the retreat, he studied the question Scripturally and spoke with Bible-teacher giant, Henrietta Mears—who would later become the author of What the Bible Is All About. She encouraged Billy to trust in the Scriptures even while Templeton encouraged Billy to ‘get with the times.’ But the question had to be decided by Billy himself—no one else could do it for him. Finally, there was a breakthrough. The decisions he made at this tree stump would be foundational for his preaching ministry. Billy writes that the Holy Spirit freed him to at last pray, “Father, I am going to accept this as Thy Word—by faith! I’m going to allow faith to go beyond my intellectual questions and doubts, and I will believe this to be Your inspired Word.” A battle of monumental proportions was won. Tears flooded to his eyes and he says that he felt the presence of God with intensity which had been absent for months. This final breakthrough and decision would launch the ministry of Billy Graham. God had found in Billy a man whose heart was His and one whom He would strongly support. In the following days, Billy held meetings in nearby Los Angeles. Newspaper magnate William Randolph Hearst made the decision to “puff Graham” and his evangelistic meetings in the national papers, launching Billy into the national spotlight. The platform for the evangelist to preach the Gospel was set, and he was armed for the coming battles. Many more decisions would be made in Graham’s 60 year ministry, but these four decisions were foundational. Without them, his ministry would not have been similarly blessed by God. I am grateful for the decisions that Billy Graham made, and pray that other laborers will make similar decisions that the Gospel of Jesus Christ might spread unhindered by our lack of purpose. I was born 1937 and clearly remember B.G. We went to York Gospel Center when Ralph Boyer had B.G. than just a new Evangelist. Geo. Beverly Shea was with him one time. My Mother cooked for all of them. Many memories.